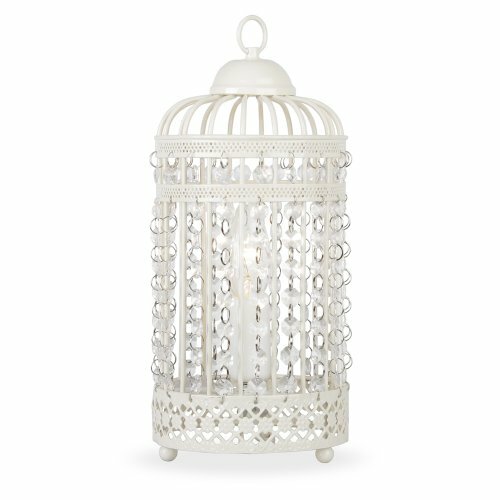 Ornate metal framed table lamp in shabby chic cream finish with an intricate cut-out pattern and acrylic beads. Add style to any living area with this stunning table lamp. 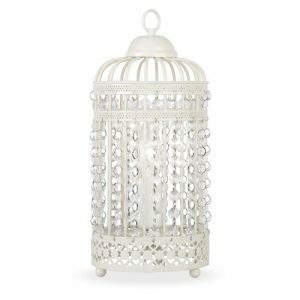 Ivory cream finish with light-reflecting clear jewel droplets. Update your room in seconds! The ideal bulb to use with this product is a 40w SES E14 candle bulb.